On the 17th of October people all over the world will observe the United Nations’ International Day for the Eradication of Poverty. 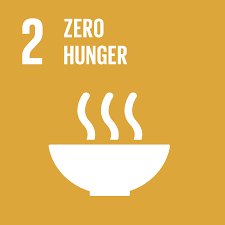 SCOUTS South Africa supports efforts to eradicate poverty and hunger through a number of community development projects and their renowned “Food for Life” programme. “Scouting provides original approaches to several of the problems affecting young people today: poverty, education, crime, HIV & AIDS, unemployment, gender inequality and a collapse of the traditional family unit and social values, explains Milly Siebrits, CEO of SCOUTS South Africa. The programme is offered as part of nationally run environmental education camps or as stand “food for life” programmes. “Food for Life” is introduced to 10 year old children who learn how to grow their first vegetables. This progressively increases to a bigger size garden. Numerous community projects have been implemented by Scouts. 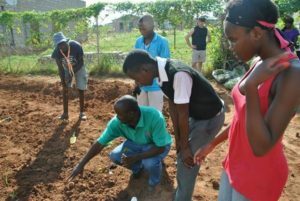 Many of them choosing to do it as a Group project and starting the vegetable gardens at school. Vegetables are used for the Scout families, soup kitchens at schools and sold to community members. The programme additionally provides participants with entrepreneurial skills in order for them to be able to sell their own vegetables. The programme received international acclaim in 2008 and was rolled out all over the African continent by the Africa Regional Scout Bureau. “Scouts do not learn from theory alone, but from “learning by doing”, she adds. SCOUTS South Africa is an independent, non-profit educational movement dedicated to the development of young people in achieving their full potential as individuals and responsible citizens. Central in this programme is a continuous transference of values such as honesty, loyalty, responsibility, respect; all aimed at governing individual behaviour and the development of strong leadership skills that will equip members to be of service to others and to their communities. SSA is a member of the World Organisation of Scout Movements, WOSM. The Scout Movement was founded in 1907 by Baden Powell. It has over 30 million members in over 200 countries and territories.